It was a glorious day, as many of the preceding 20 had been. The sky was blue, the sun was shining, and we were sat on the early morning bus from Inverness to Glasgow. It was time to make the long trek back to our little corner of Virginia, and after 4 hours of beautiful Scottish countryside drifting past the window we were in Glasgow. Minor side note, while the A9 has an atrocious, and thoroughly deserved, reputation as something of a death trap, it is also one of the most stunningly beautiful roads I have ever travelled on. I have always had something of a soft spot for Glasgow, I love the architecture, the vibrant city centre, and I have loads of Glaswegian friends. Although I have never spent more than a few days in the city at a time, I have enjoyed many an excellent drinking session in the city's pubs. When we were planning our few hours in Glasgow city centre, I tweeted for advice on the best places near Buchanan Street bus station for a feed and a drink. I had originally wanted to make it out to WEST, but decided that I would rather spend the time downing pints of real ale. Several answers came back, but I knew pretty much straight off where we would be spending our afternoon. We wandered to the edge of the city centre, through the crowds for the Commonwealth Games, under the M8, and having proven again that navigation by pub is a universal, into pub heaven. 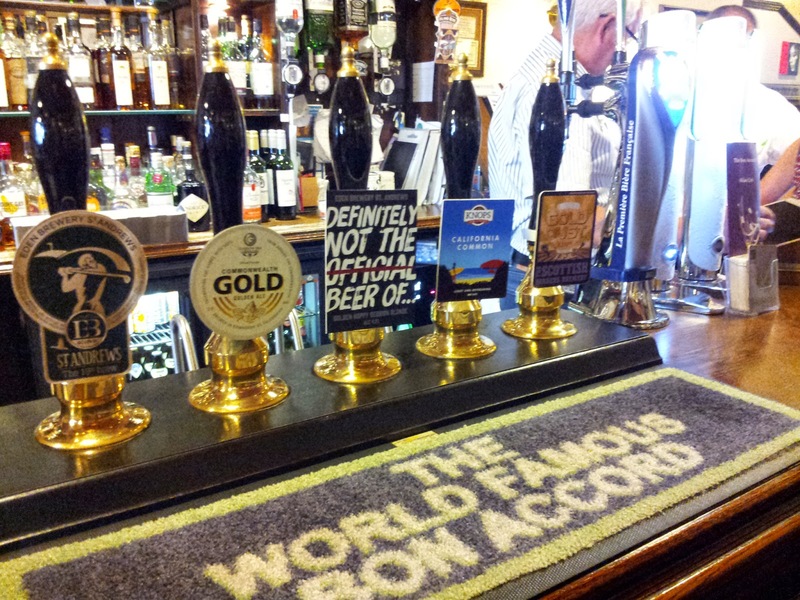 The Bon Accord is unassuming, unpretentious, wood laden, and clearly a place for serious drinkers, who know their onions when it comes to the delights of malted barley, whether as beer or whisky. Mrs V and I found a couple of seats at the bar, and got our first drinks in, Cromarty's Hit the Lip for me, and Kronenburg 1664 for her, in her defense she hadn't noticed the Budvar in the fridge, once the Kronenburg was done she was Czech for the afternoon. I would have stuck quite happily with Hit the Lip had I not polished off the last of the cask, did I mention yet that there we 10 hand pulls arrayed on the bar? With no more Cromarty beer to keep me company, a Caledonian Brewery Summer Valley filled the gap while I pondered what to have next. One of the things I love about pubs is the people you meet, the random conversations with folk you are unlikely to ever meet again, whether the older gent doing the crossword next to Mrs V, the Patrick Thistle fan with whom I discussed the upcoming independence referendum (a conversation I pointedly avoided with my family), and most of all, with Paul, the owner. It's difficult, if not impossible, to describe Paul as anything other than a man of the world, urbane, sophisticated, and a mine of knowledge of whisky and beer. It was fantastic to just sit and chat the many pleasures of the demon drink. It was Paul that recommended I try the Kelburn Dark Moor. Oh. My. Goodness. What a beer Dark Moor is, served in tip top condition, a wonderfully complex, irresistible mild. 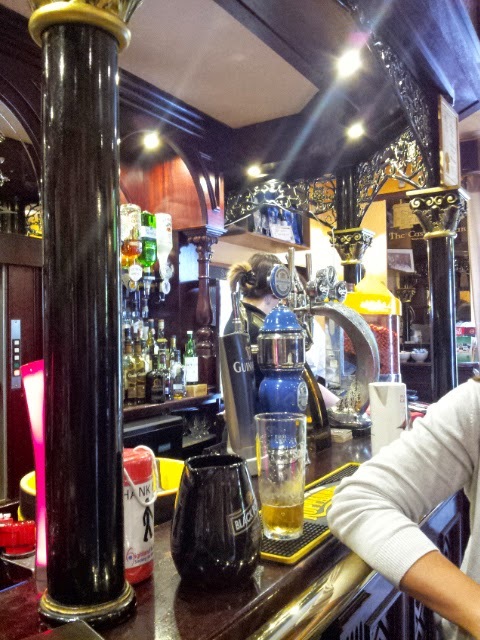 We ended up spending the best part of 5 hours at the Bon Accord before heading back to the bus station to pick up our bags and head out to Renfrew and our hotel for the night. 5 hours of superb, well kept, beer, supreme service, stimulating conversation, and an all day breakfast to die for. 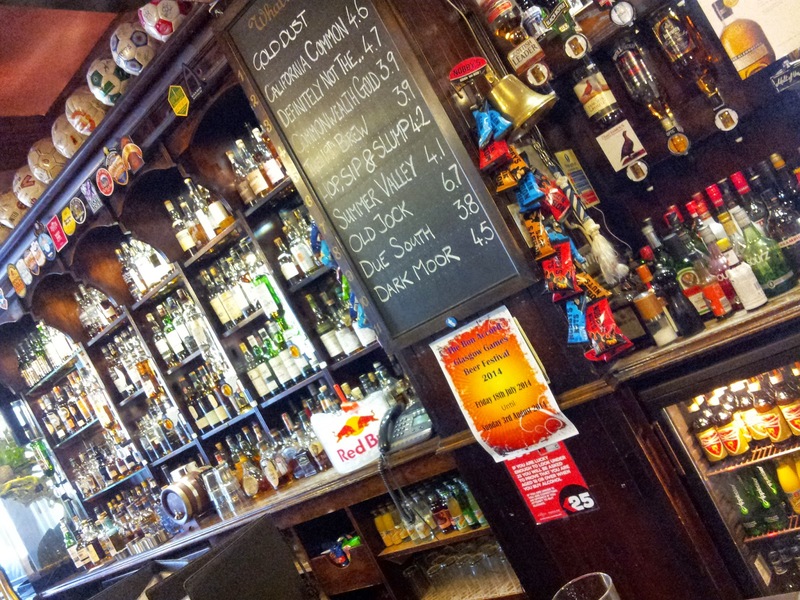 The Bon Accord is a must visit when in Glasgow, and the kind of pub that if I ever had my own, would be the role model. After our little sojourn in the realms of Virginia beer, time to head back to Scotland, and wandering along the banks of the River Ness. If you've never been to Inverness, and I thoroughly recommend you do, spending a Sunday morning strolling along the Ness toward Bught Park, through the Ness Islands, and back up the other bank, culminating in reaching the pub at opening time, is pretty much as good as it gets. Especially when the pub in question is the Castle Tavern. 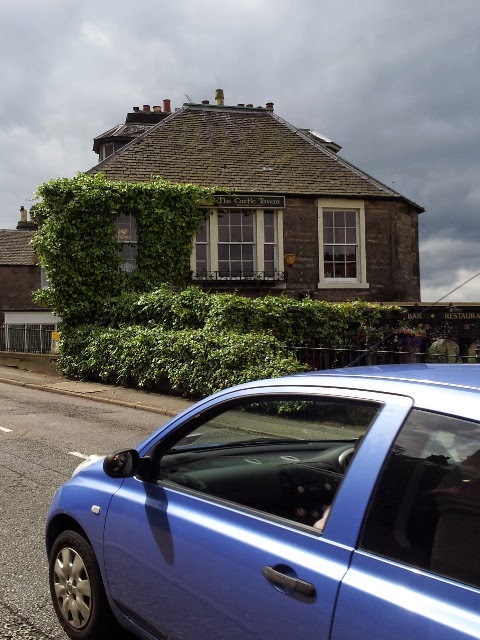 Located behind Inverness Castle, the Castle Tavern was one of the places that I had researched before our trip. The primary attraction was simple, real ale. While I am not a member of the Campaign for Real Ale, you could happily describe me as a fellow traveller. The time we went by, it was still an hour to opening time, and we had to be elsewhere. So the next time, we got there right at opening time. Walking past the rather fetching collection of tables and benches outside, Mrs V and I decided to grab a seat at the bar and I ordered a pint of Cromarty Atlantic Drift, a 3.5% pale ale which was moreish beyond words, and Mrs V had a cider. 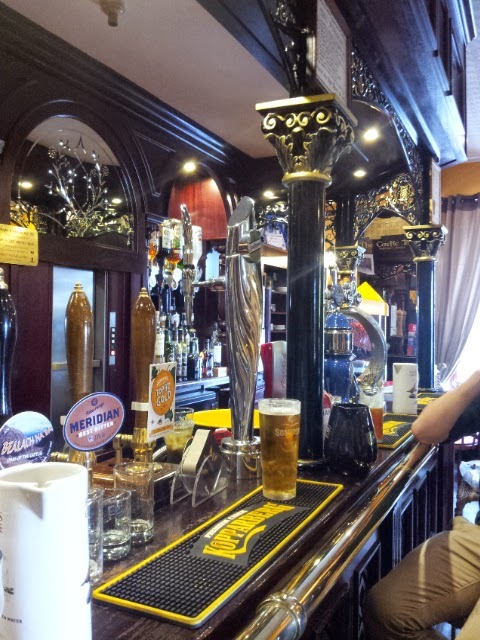 As you can see from the pictures, the bar is in many ways, classic British pub, it was love at first sight as far as I was concerned, especially as the beer was in fine fettle. One thing I particularly appreciated was the option to have three thirds of a pint, to try multiple beers, for the price of a pint. I took the offer, but decided to stick with the Cromarty, which was a theme in many a pub we went to on our trip. A few days later we were back, this time with my nephew in tow, and to my consternation the Atlantic Drift had kicked, as had all the casks from the previous visit. Ah well, Windswept Blonde more than filled the gap, and I discovered that a double dark rum and ginger ale is rather nice, strange things these youngsters drink. 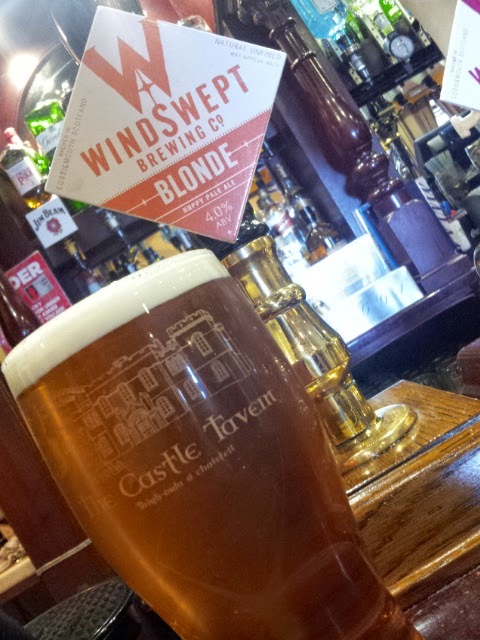 With a good selection of real ales, staff that clearly knew their stuff, and an atmosphere that was friendly, laid back, and generally welcoming, the Castle Tavern would be a regular haunt if I lived in the Invernes area, and probably my local in Inverness itself. A great place. Three Notch'd Brewing - Oats McGoats (5.5%). Oats is the base beer for Three Notch'd's espresso stout. Take out the coffee and you have a wonderfully silky, moreish stout that just screams to drunk whilst sat in a comfy chair, in front of the fire, with the dog stretched out at your feet. Idyllic. Blue Mountain Brewing - English Pale Mild (4.6%). On the day I went to brew a Burton Ale with the guys at Blue Mountain, they were pouring an English pale mild, a brew so rare these days that people likely saw the words 'pale mild' and thought it was some modern twist on mild. With a generous smattering of English hops, it was a great beer to have a few pints of, or as we call it in the UK, lunch. Port City Brewing - Downright Pilsner (4.8%). The perfect Czech style pilsner, a love song to Saaz. Magnificent. Lickinghole Creek Craft Brewery - Enlightened Despot (11.3%). A Russian Imperial Stout, aged in Pappy van Winkle barrels, balanced, seductive, and superb with a well matured cheddar cheese make this beer something of a rarity in Fuggled-world, a big barrel aged beer that was actually worth drinking. I bought the last bottle from batch 1 when I went to the brewery, and it sits in my cellar awaiting a suitable occasion. Three Notch'd Brewing - 40 Mile IPA (6.1%). Don't look now but there is an American style IPA on this list. Absolutely redolent with the tropical fruit flavours of El Dorado hops, this has become my go-to IPA, there simply is no better IPA being made in Virginia right now in my opinion. If you see it in the massed ranks of IPA in a bar, forget the rest. Starr Hill Brewing - Dark Starr Stout (4.6%). There have been some tweaks to this beer recently, specifically a change in the chocolate malt being used in the brew, and it has elevated an already magnificent dry Irish stout to higher standards. I honestly can't think of a dry stout I would rather drink. Devils Backbone Brewing - Vienna Lager (4.9%). 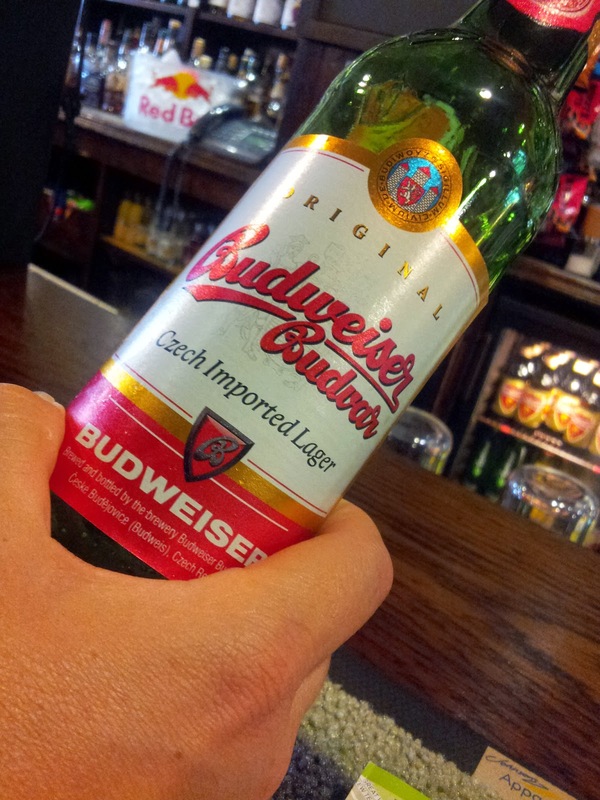 A well established go-to lager which never disappoints. It is great to see that as Devils Backbone continues to grow Vienna Lager doesn't seem to suffer, testament to the superb work that Jason, Aaron, and the DB brewing crew are doing. Three Notch'd Brewing - Of, By, For Pilsner (5.6%). Yes, yes, yes, I know, another Three Notch'd beer, but seriously, these guys are consistently making the best beer in central Virginia at the moment, and across a range of styles. Of, By, For is a solid Bohemian style pilsner, though at an estimated 14° Plato it is more in the speciání range than a ležák. Showcasing the Saaz-derived Sterling hop, it is dangerously moreish, and returns to the tasting room this week!! Ardent Craft Ales - American Mild (5.5%). More a brown ale that a mild, as understood these days, but a lovely combination of nutty malts, spicy hops and a rich mouthfeel. Probably the highlight of my Saturday drinking in Richmond recently. Hardywood Park Craft Brewery - Bohemian Pils (5%). What is happening to Virginia brewing? Czech style lagers seem to be popping up all over the place, and this one reminded me very much of beers I drank in the Czech Republic, mainly Budvar. Well worth seeking out. So there we have it, my favourite Virginian beers since last year's list. Naturally the list is purely subjective, but that part of the joy of beer. Going home, in the most literal sense, is a path well travelled. Whether coming from Inverness, Birmingham, Prague, or Charlottesville, all roads lead to Uig. From Uig the ferry sails to Lochmaddy, and from there a car to Benbecula. Inevitably there is about an hour and a half of time killing to be done in Uig, and usually said time is killed at the Pub At The Pier, or as it is known these days, the Bakur Bar. The last time I had darkened the door of this particular building was when it was called the Pub At The Pier, and I spent time chatting with an American tourist, from Joshua Tree, playing pool, and drinking something or other. This time I walked in, saw hand pulls bearing the logo of nearby Skye Brewery, and did something that happens rather infrequently, ordered an IPA, hopped with Sorachi Ace no less. A few mouthfuls later, I ordered another, delicious it was. 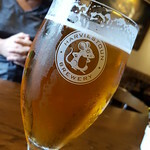 It was actually my first draft beer since arriving in Scotland (these posts are in not particular order) and thus began my three week reverie of cask ale. 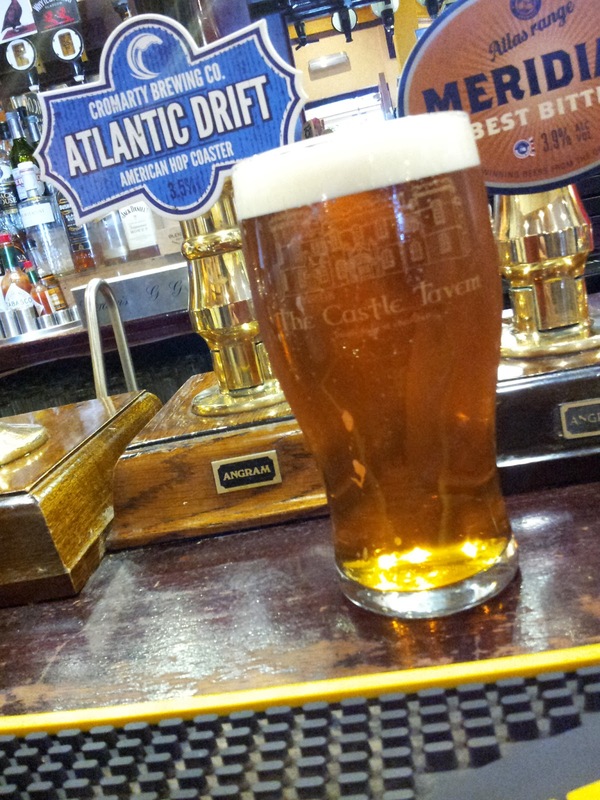 Not wanting to get stuck in a rut, I followed pint 2 of IPA with Skye Red. Once upon a time known as Red Cuillin, it was everything I expected from a red ale, plenty of sweet malt juiciness, toffee, caramel, some light cocoa, with just enough spicy hops to make it interesting...by now the ferry was turning in the bay, ready to let people off before loading those of us heading west. 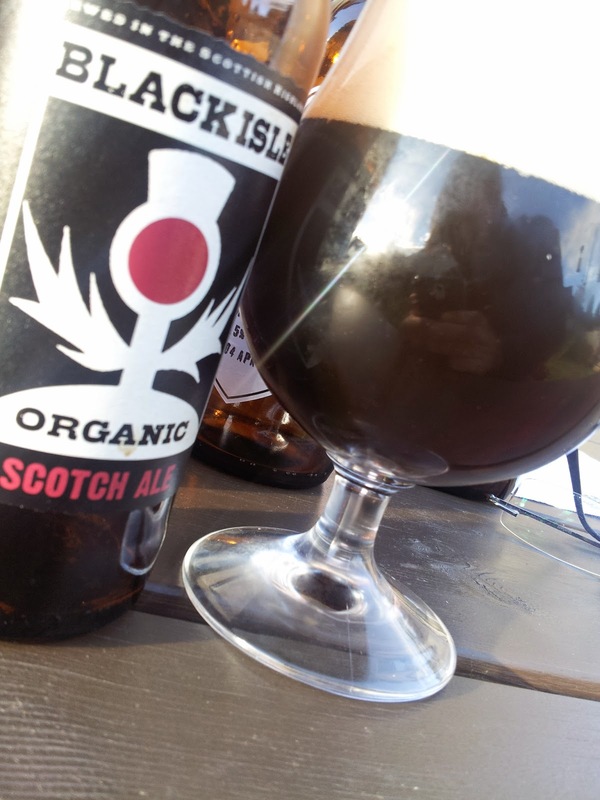 After a few days on Uist, we headed back east, stopping in the brewery shop to pick up some bottles, and some swag. Other than the Black and the Red, I bought a couple of bottles of Hebridean Gold, a pale ale brewed with porridge oats, giving it a delightfully creamy mouthfeel, soft honeyed sweetness, and a drinkability that could easily get a chap in trouble. The Black Isle is neither an island, nor black, being a rather fetching shade of green most of the time, and always a peninsula. 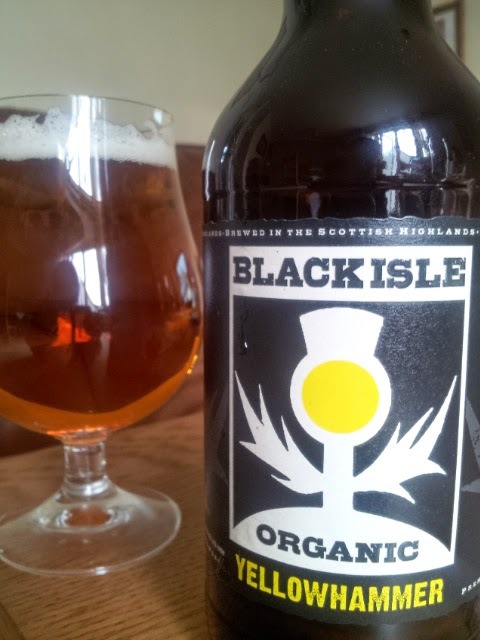 The Black Isle Brewery is on the Black Isle, and is most definitely a brewery. 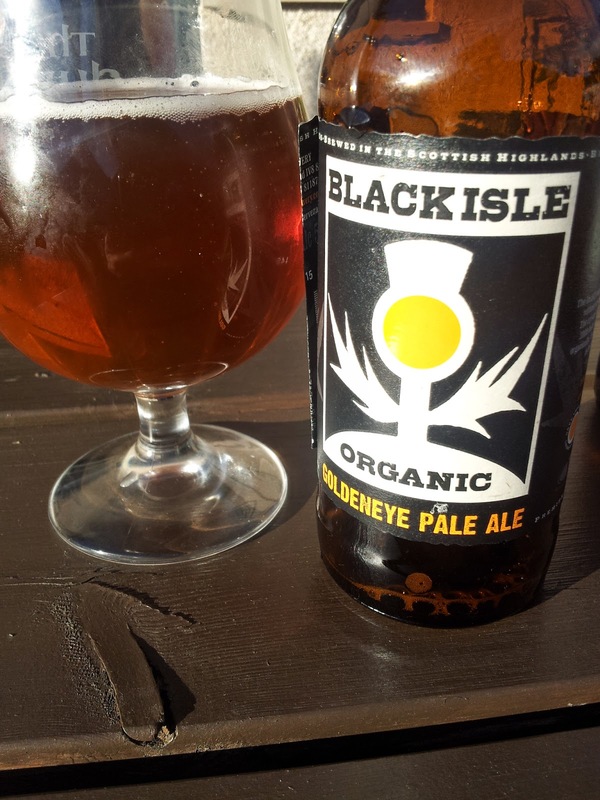 A long time ago now, I lived on the Black Isle, in Fortrose to be precise, and I remember seeing the signs to the then newly opened Black Isle Brewery. I don't remember ever trying their beer back then, being more of a Caffrey's drinker in those days. Thus, correcting that particular fact was very much on the cards while I was home. I wasn't expecting to correct that fact quite as soon as I did. Mrs V and I spent the first Sunday of our trip mildly jet lagged, wandering along the banks of the River Ness while my parents went to church. We arranged to meet my parents outside the Marks and Spencer, and so I popped into to pick up some beer to see me through the afternoon and evening. One of those beers was a heather honey beer brewed at Black Isle, I enjoyed it muchly. 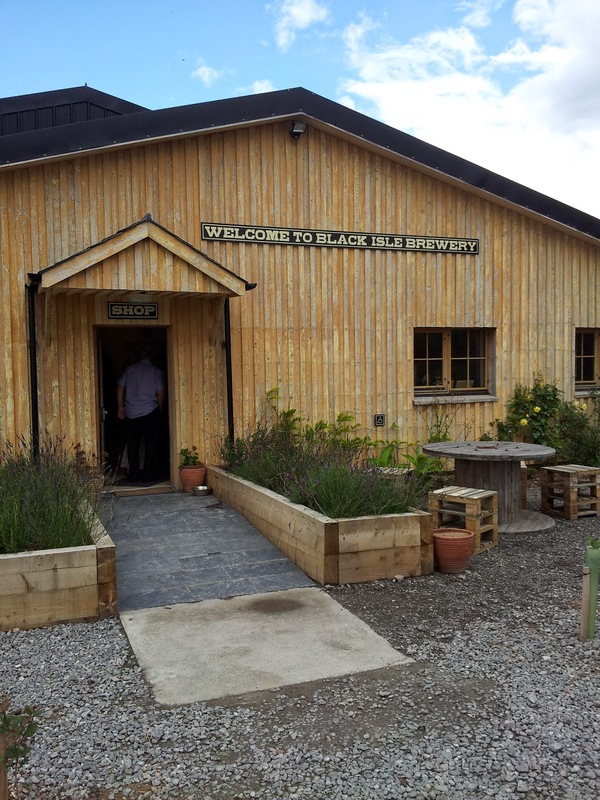 On the day we also went to the Cromarty Brewing Company, which I wrote about last time, we swung into the Black Isle Brewery. The brewery has free samples in the shop and does tours of the brewery, though as I work in a brewery and have access to as much stainless steel as a chap could possibly need I really didn't feel the need to go on a tour. I did though feel the need to pick up some bottles and a rather natty bottle opener, which I used in anger that very evening. Yellowhammer poured a golden straw with an inch or so of pure white head. Having been described to us as an "ale that's like a lager" by the girl in the brewery store, I was expecting something in the realm of kölsch, which it would have been but or the Cascade derived grapefruit flavours. Either way it was a perfectly drinkable thirst slaker that I wish I had seen on cask in my pub adventures. Goldeneye Pale Ale does exactly what it says on the tin, or bottle in this case. Pale, plenty of New World hoppy flavours and aromas, berries, tropical fruit, you know the thing. Add to that a good malty backbone to balance everything out and you have a beer that would more than pass muster on this side of the Atlantic. 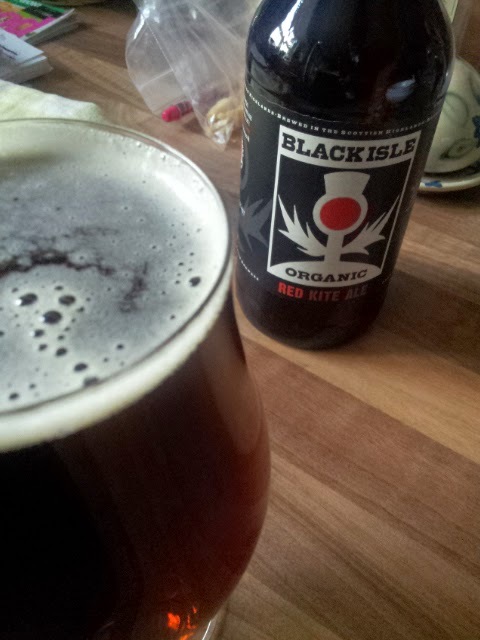 Going a little darker, Red Kite pours a rich garnet, with a thin slightly off white head. This really was like drinking dessert, with aromas of caramel and creme brulee, whilst tasting of dates, toffee, and spicy hops, think sticky toffee pudding and you're pretty close. Did I mention that sticky toffee pudding is one of my favourite desserts yet? As the evening wore on I opened a couple of heavier hitters, a porter and Scotch ale, both beers were solid examples of the style which I would be more than happy to drink again when next I head home, though I would love to try them on draft rather than in the bottle. There's something wonderful about sitting in the garden, as the evening sun sets slowly into the northern sky, with a glass of well made beer. Life's simple pleasures at their finest...I was beginning to realise just how well endowed in the good beer department the Highlands are.